The Chron’s Sunday op-ed pages were filled with pension-related discussion. Here are the citizen members of the Long-Range Financial Management Task Force, fresh off of their report release, taking to the pages to lay out what the city wants from the Lege on pension issues. The Texas Legislature must change the current law that gives control of the pension plans to the city employees and retirees who benefit from the funds. The Legislature needs to let the city, not the beneficiaries, manage the funds, since the city has the responsibility for paying the benefits. This change will not affect the integrity of the funds’ assets. The city must be given full access to the three pension funds’ detailed financial information including investments, benefit structures, individual payments and participant information, so that the city can independently calculate benefits costs. Currently, state law and the funds’ internal policies deny the city access to this information. Even the trustee appointed by the mayor is prohibited from giving financial information to the city Finance Department for analysis. The city must have such information in order to fully understand the benefits being promised and paid and in order to be able to make the appropriate changes to the benefit structures to achieve benefit levels that are sustainable. Our biggest disappointment in this process was our inability to obtain full access to the pension information. Without it, we were unable to determine, for example, whether pension reductions necessary to build a sustainable retirement system could be limited to reductions for future employees or whether roll backs to current employees will be required. Benefit schedules must be adjusted to eliminate “spiking”- the manipulation of benefits through the use of overtime and late career or temporary salary increases in the calculation of final average pay upon which the benefits are based. Eligibility to receive retirement benefits must be at reasonable ages with retirement benefits capped at a reasonable level. Incredibly, under current plans, some former classified employees retire after only 20 years of service without regard to age and others receive annual retirement benefits in excess of 100 percent of their preretirement base pay. Pension security requires that the city fully fund the Actuarial Required Contribution every year based on a reasonable assumed discount rate without exception. We must eliminate the option of granting additional retirement payments for employees who reach retirement age but continue to work. In a fair and sensitive way, we must change postretirement health care benefits, which impose unreasonable costs. None of this sounds unreasonable in the abstract. There are no numbers attached to anything in this writeup, so there’s no way to judge how it would affect any individual or group of individuals, and of course we would need to hear from those people to know what their concerns are before anything moves forward. But as a starting point, none of this raises any red flags to me. I’d also like to thank our only Governor for bringing the penultimate item to everyone’s attention. • Restructuring the City Debt and take advantage of the historically low interest rate levels. • Address City Structural Challenges by thoroughly analyzing its enterprise Funds, TIRZs and Management Districts and whether they provide a real financial benefit to City taxpayers. • Analyze the Draining Fee Structure to determine what present City related services can be funded with it and make sure that any savings are transparent and communicated to the public. • Long-term Economic Growth strategies need to be implemented that incorporate efficient services to the citizens of Houston. • Carefully consider proposed Public-private combination strategies, like privatizing the City’s EMS services, to determine whether true cost-efficiencies can be realized without a deterioration of city services upon which the public now relies. The other issue taken up by the Task Force was City Pensions. 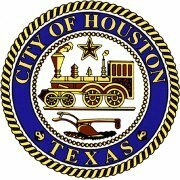 Presently, there are three City of Houston Pension programs, one for the Municipal employees, one for the Police (each governed by an appointed and elected pension board), and the Statewide Fire Fighters Pension governed at the state level. The Minority Report states that there are misconceptions about the pension reform matters that have been in the news and that the City’s long-term debt has historically been rolled forward with little long-term thought given to how the debt will be funded. The three pensions are governed by independent boards and the City can engage these boards to make changes through a ‘meet and confer’ process (as was done recently for Municipal and Police). The Minority Report recommended the following for the pensions. • Funding of Pensions: They need to be funded at actuarially required contribution levels. • The Risk Equation: The funding risk for the pensions is spread over investment returns, employee contributions and the system’s plan design. They note that the pension funds exist for the benefit of multiple generations of workers and must focus on the long term and that the City’s pensions have matched or exceeded their target returns of 8.5% (a rate that is considered reasonable but subject to projection changes at any time). • Defined Benefit Plans (DB’s): Suggestions have been made to convert DB’s to defined contribution (DC) plans but the report notes that if done, they are only cheaper if benefits are cut. Presently, Municipal employees average less than $22,000 a year in retirement after a lifetime of work at low wages and no extras like bonuses. It has also been found that when DB plans are closed and converted to DC plans it results in substantial increases in costs and could jeopardize attracting future City employees. • Transparency: It has been alleged that data from the pension plans is secretive, especially the DROP accounts, but the report points out that this is not so and that information is available to actuarially determine any future costs. Obviously, that last point contradicts what the authors of the above op-ed claim. I’d like to get some clarity on that. The full minority report can be seen here. Over on the letters to the editor page, HFT President Gayle Fallon disputes some of the assertions made by Bill King in his latest screed about public pension systems. The Teacher Retirement System (TRS) is well managed and well funded. According to its last audit, it is solvent through 2075 and is funded at 82.7 percent – a better funding ratio than most private plans. A funding ratio of 80 percent or above is considered a sign of a healthy pension system. More than half of the money in the TRS funds has been contributed by the educational employees. In 1995, the state reduced its contribution from 7.31 percent to 6.0 percent, the minimum that is constitutionally guaranteed to educators, and left it there for 12 years. Employees contribute 6.4 percent. Contrary to King’s statement that retirees have had no cost of living adjustment in over 10 years, retirees received a cost of living increase this year from TRS. The TRS rate of return has exceeded the 8 percent rate targeted by TRS actuaries for decades. As a result, the taxpayer share of benefits paid is only 20 percent. Moving workers to 401(k) plans places all of the risk on the employees. If the market drops during their retirement, they have nothing to protect them from spending their old age in abject poverty. Most workers who have a 401(k) also have Social Security. Texas teachers do not. All they have is TRS. I will say again, as I contribute to the problem today, I think we are devoting too much time and attention to the pension issue as it relates to city finances and not enough to other issues. King is talking about more than just the city of Houston’s pension systems, and despite his assurances about his intentions I don’t have a particularly high level of trust in what he’s saying. Part of this is simply a distaste for advocacy of austerity, sacrifice, and change that don’t affect the person doing the advocating. We’ve already had plenty of that, thanks. There likely will need to be some changes made to public pension systems, in Houston and in Texas, to ensure their long term viability and to be fair to the taxpayers. All I’m saying is that it’s only one piece of the puzzle, and we need to spend more time on all the other pieces. The true problem is over spending by politicians. They have long swept the true costs under the rug and kicked the can down the road for others to worry about. I’ve read how Bill King manipulates statistics by using only one city revenue source to make things sound worse and how the people behind the pension reduction drive are just trying to feather their own nest as they have done in the past but even the Task Force report claims the liabilities currently owed are set in stone legally. The report also states that deferred retirement programs have stopped for most employees hired in the last eight years. Various other reductions in benefits while increasing employee costs are already limiting the quality of applicant, the cries of unsustainability from those who voted for them such as Parker seem to kick the core workers in the gut while they are down.